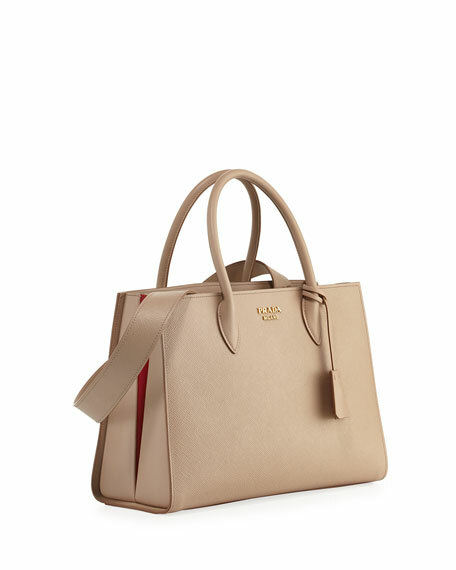 Prada tote bag in bicolor saffiano leather, featuring inverted pleat detail at side. Removable shoulder strap, 16.5" drop. Open top; hanging covered key. 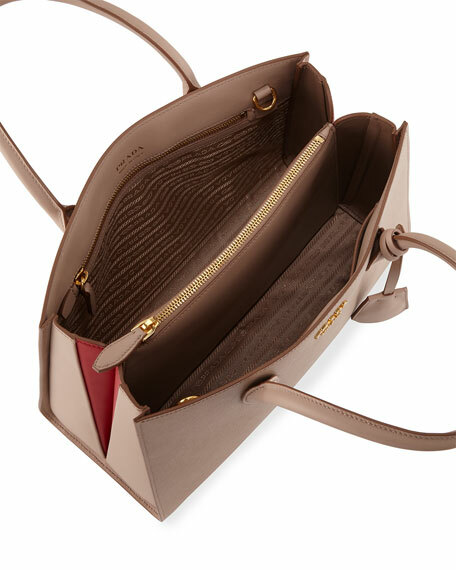 Inside, jacquard lining; zip and slip pockets. Approx. 9"H x 12.8"W x 5"D.
Bag weight: 2 lbs. 4 oz. For in-store inquiries, use sku #2283386.